Is this what your desktop looks like? "Where do I put my files once I download them?" or "How do I organize my files?" are two of the most common questions we receive. There's nothing worse than sitting down to work on a project only to spend minutes (hopefully not hours) looking for your SVG files. It doesn't matter if you're on a Mac or PC, pretend that your computer is a file cabinet. Just like a file cabinet, your computer stores documents (SVG files, pictures, word documents etc). And just like a file cabinet, your computer gives you the ability to group similar documents in folders. Are you with me so far? You know that screen that you see when you first boot up your computer? Yeah, the messy one with all of that stuff on it. That is your desktop and is NOT to be used as your file cabinet! I like to pretend that the desktop is like the table in your craft room. In a perfect world, you would only leave your current projects and/or commonly used items on your craft table. You don't use your craft table to store your ribbon and paper, right? The desktop should be a fairly clean space that allows you to get to where you want to go quickly! 1. If you are running Windows Vista, XP, 7 or 8, you have a personal folder that Windows automatically creates for you when you first login to your computer. 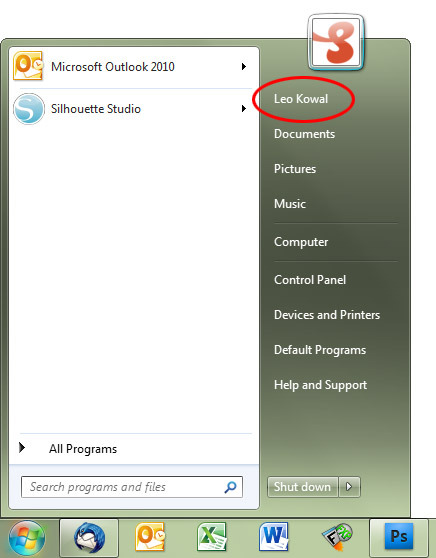 In my case, the folder is my name (Leo Kowal) because that is the username I created when I first purchased my computer. Click the Windows Start button. Click your username to open your personal folder. 2. Your personal folder should look something like this. This is where any and all of your files should go. I'm not just talking about SVG files, I'm talking about your photos (into the My Pictures folder), Tax forms (into the My Documents folder) etc. Note: You may have more folders depending on what programs you have installed. In the next step, we're going to create a new dedicated folder for your entire collection of SVG files! 3. 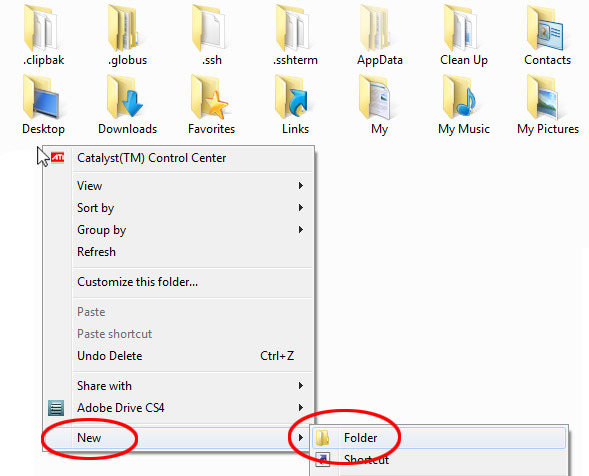 Right-click on an empty area of your personal folder. Highlight New from the pop-up menu and click Folder. 4. Give your folder a name! It can be anything you want. I named mine "Leo's SVG Library". 5. Double-click on your new folder. This is where you're going to start saving your SVG files. 6. Now that you have a folder dedicated to your SVG files, you can begin to organize it however you'd like! By theme, holiday, color and even by the source of the SVG files (SVGCuts.com). Simply drag your existing SVG files into the new folder(s) and if you're downloading a file for the first time, just save it directly to your new folder! While it's important to keep your SVG files together in one main folder, there is no right or wrong way to organize your SVG files inside that folder. Create folders for specific holidays, seasons etc. Keep your bags, cards, scrapbook layouts and 3D projects in specific folders. Keep all of your SVG files organized based on where they are from. I'm aware that many of you are advanced users and have no issues with file management and organization, this tutorial isn't for you! I also know that some of you like to store your files on an external hard drives and that is totally fine in my book! Just don't forget to backup your files! Internal or external, all hard drives are the same and at some point, they will CRASH. The best way to backup your files is to a CD or DVD. Never backup your files on a flash drive. They are way too volatile for long-term storage. As I mentioned before, there is no wrong way to organize your SVG files. You can feel free to organize your SVG files by company first and then add themed sub-folders inside the company folder. The possibilities are endless and personal preference will play a big role in determining what is right for YOU. The goal of this article is to help you find a home for your files and help you understand a little more about how your computer stores files and how to make your life easier by learning how to customize the way they are stored. But what about mac users? Mac version of this post is coming soon! Where is the Mac version of the post?? Organizing your svg files on a Mac is relatively easy. The example that Leo showed for his example can be used in Finder on your Mac. Personally, I like to use the column view in Finder, as you can easily see the hierarchy of your folders and files. Start out in your left-most column with a main folder for your SVG files and within that folder, you can create folders for you different categories like Flowers, Summer, Christmas, etc. Now you have the start of your layers of folders in which you can put your svg files. I’m rather weird in that each svg file I have is a folder containing a finished picture of the item as well as the zip file and necessary svg file folder. mac is even easier, study how to use your smart folders, you will love it! Thank you! Those are some really great tips! I also use the Silhouette’s “Save to Library” function so I can find my svg cut images or projects right within my Silhouette library. Johanne, the Silhouette library is still a little quirky when adding the files to the mat from the SIlhouette library. Silhouette is aware and they plan on fixing it. We’ll be doing another tutorial once we’re happy with how it works! What do you mean by “quirky”? I don’t have issues with the Sil library with the exception of photos or some externally imported items. I have found that they do appear on the mat after a few clicks/trys. Usually when I quit getting cranky. I do need to save to a CD–both my Sil stuff and SVG/external items. 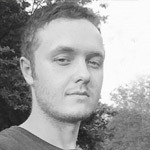 I use my Mac to store SVG/external items & Sil for everything I use or bought from Sil. Thanks for the tips. Just need to know how to cross reference so I can find items b/c I can’t always remember what I put them under! Thanks for the fantastic info & the very important reminder to back up your files!!! I need to do it too! so a huge thanks for the reminder!! PS you’re a very handsome man Leo!!?! :) Lucky Mary!! keep up the great work! Having accumulated quite a few svg files it was getting difficult to find things. So I created a seperate folder with a jpeg images of the projects with a file name same as the svg file. Then we can use the search for files on computer to find the file that are in sub-folders. Maybe Leo could explain this better. Thanks great tips. Keep them coming. OMG! Leo, have you been in my computer? We have many of the same folders. I organize my folders exactly this way and it was amazing to see that you have identical folders for you computer. Thanks for the article Leo. I was pretty good at organizing my svg files for the longest time, then they just got away from me. I need to spend some time working getting them in order. Also, thanks for talking about backing up files. I had several CD backups, but neglected this too for a while and lost too many file to mention when my computer crashed last year! Thank you for these great tips! Is there any chance you can do a tutorial on the correct way to back up files on a cd or dvd? I also use the silhouette library, but I keep all the actual files in folders. I have a folder I put the files in when I first download them labeled “svg files to import,” and then when I have imported into the library, I move it into a folder labeled, “svg files imported.” I also have a couple sites I use daily, so those files have their own folders. It is a little quirky, like your response to Johanne, but I like to be able to see all the images at once. This is a great tutorial and hopefully people will follow this principle and soon be sorted out – and always be able to find their SVG files!!! Great Post, I needed this. First time working with SVG files. My question is whether to leave the files Zipped, or extract them, and then do I keep both? And for the Free Images that SVGCuts posts – The pieces come in the file, but there doesn’t seem to be a complete image in the file, or instructions. How do I save the instructions that are posted, such as “Cuts better at 4″ and larger”? Organizing the files on the computer to me is only one step. How do you remember what you have an what they look like, without opening all those files or folders? For all my cut files, I have made a simple two-column table in my word processing software (Word). For each cutting file or group of files I insert a row with an image of the design, usually reduced to about 1 inch high, in the first column. In the second column I put the name/file name/special instructions. Of course you can take this as far as you want, with separate sections for themes or type of files. 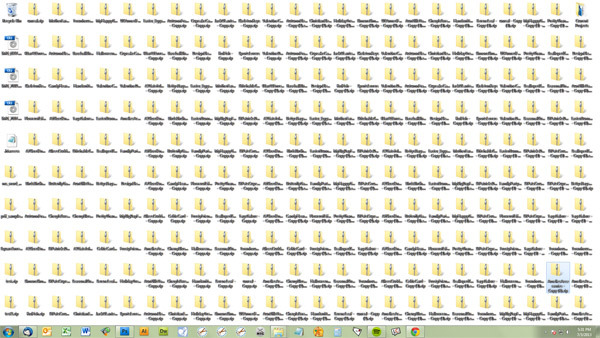 Anyway, this gives me one place where I can scroll through all the cut files I have and decide what I want to use. Anyway, it works for me. group, Lets Learn Explore Together. some of my questions, before my son has a chance… LOL. Leo, thanks! you have a wonderful way to explain things and make them DO-able!